The Government of Telangana vide GO Ms No. 62, Home (Legal) Department dated 06-06-2018 have raised the upper age limit prescribed for appointment by direct recruitment by Telangana State Level Police Recruitment Board to various Posts in Police Department, Disaster Response & Fire Services Department, Prisons & Correctional Services Department and Special Protection Force by 3 (three) years for the Notifications already issued in 2018 for various categories of the Posts and also subsequent Notifications to be issued till 30-05- 2019 for the purpose of direct recruitment. In view of the above, the respective Age Eligibility Criteria in all the 4 Notifications issued in Rc Nos. 88, 89, 90 and 91 / Rect / Admn-1 / 2018 dated 31-05-2018 for various Posts are modified and the upper age limit prescribed for appointment by direct recruitment by Telangana State Level Police Recruitment Board is raised for all the Posts in each of these Notifications by 3 (three) years. This relaxation is in addition to the upper age limit as mentioned in the said Notifications. in 2 parts – the First Part being Objective (with Multiple Choice Questions) for 25% of the total marks and the Second Part being Descriptive for the remaining 75%. For details, please refer to the Supplementary Notifications. 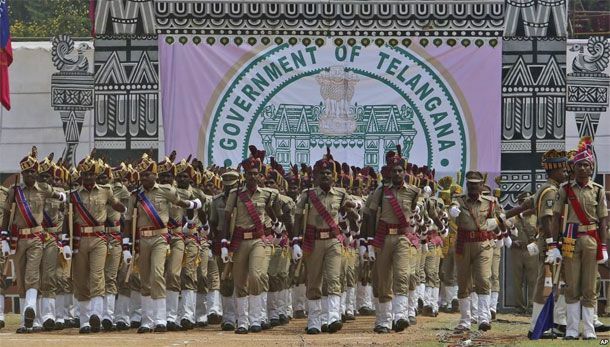 The Telangana State Level Police Recruitment Board invites Applications through ONLINE mode only in the prescribed proforma which will be made available on Website (www.tslprb.in) from 8 am on 09-06-2018 to 12 midnight on 30-06-2018 for Direct Recruitment to the Notified Posts. I have done SSC . DOB:- 02/01/1993 ,sir i have experience in driving 8yrs . But my wish is to do police job , my height 5'11,Sir if im ealigible for any government job in this..? Hi sir my name is satish and my dob is 10/02/1992. So tell me sir am aligible or not for constable? 25 age drivers ki anubavam undadu.25 to 35 madya age heavy nd badge number unna persons ni recruit cheyandi sir.ila cheyddam valla govt vehicle's safe nd neat ga untadi.25 age drivers evarikaina gudditey example stations ci responsibility vahistada? Good evening sir,iam Ajay from badradri district.sir I have age 26 years,can i eligible for those tslprb posts.